Direct from Ireland, I embarked on my first pilgrimage to Assisi, having just discovered, and been inspired by, the life of St Francis. A few years later, seeking more meaning in my day-to-day life I saved up, bought a backpack, and left behind my job in politics – as well as my future as I had always envisaged it. I printed up business cards which read: Donna Mulhearn: Pilgrim & Storyteller. I made a rough plan, but really had no idea where I would be in a few years’ time. The future was unsure, but I felt exhilarated. The gospel phrase “when you lose your life, (for my sake) you find it” was playing out in wonderful ways as I travelled as a pilgrim to Uluru, then to wilderness in Alaska, lakes and glaciers in Canada, mountain tops and monasteries in Tibet – armed with a journal, prayer beads, spiritual texts and my daily practice of Christian meditation. * Donna Mulhearn is a pilgrim, activist, speaker and manager of Blue Labyrinth Bush Retreat, an eco-retreat in the heart of the Blue Mountains. It offers space for groups and individual pilgrims to gather and explore wisdom teachings and contemplative practices with a focus on silence and meditation, using the Labyrinth as a spiritual tool and sustainability and permaculture as a way of life. Last week, as we remembered the 10 year anniversary of the invasion and occupation of Iraq, I heard far too often the opinions of politicians and military men in the mainstream media. They gave their views about the success of the military campaign and how well the new Iraq is doing. These views are from men who never actually walked down a street in Iraq, sat with ordinary Iraqi people or heard their experiences. Instead they lived in the fortified city-state known as the Green Zone and US military bases surrounded by concrete blast walls and razor wire – separated from the rest of Iraq and from everyday life. And, in the case of Australia’s Major-General Jim Molan, sat in an operations room in one of Saddam’s Palaces ordering the targeting of missiles on residential areas. So as I attempted my own reflection and media commentary I was forced to compete for air-space with the so-called ‘official’ voices; the politicians and Major-Generals who the media so love. I did my best to balance their out-of-touch views with my first-hand experience, to bring a more realistic picture to the audience and to share the opinions of Iraqi people I’d met over the years. I hope to do some more commentary as we approach the anniversary of the fall of Baghdad in early April, when I expect more ‘experts’ to come out , and when former Prime Minister John Howard will give a lecture on the subject. While those who hold power attempt the re-telling of history, I think it’s important to gently insist on the truth – otherwise how can we ever learn from history? PS: Was great to catch up with some of you at meetings last week in Sydney and Brisbane. PPPS: Also Sydney folk, pencil in Friday May 24 where I’ll be at Politics in The Pub in Sydney speaking on Iraq 10 years on. I felt much disillusionment and despair from the tired Iraqi people as well as little pockets of hope in various places. There are many stories and comparisons to make 10 years on from the 2003 invasion and I hope to have time to write some reflections in the coming weeks. and I’ve also been posting regularly on Facebook and Twitter. Along with activists world-wide, I issued a media release to Australian media which is pasted below, please feel free to use and pass on to any media who may be interested. The impact and legacy of the use of 400 tonnes (400,000 kgs) of depleted uranium weapons in Iraq has been documented in a new report released wold-wide today and witnessed first-hand by Australian independent journalist and activist, Donna Mulhearn. The report, released to mark the upcoming 10th anniversary of the 2003 invasion of Iraq, reveals for the first time the extent of DU weapons use in civilian areas and highlights uncertainties of the impact on the health of communities. 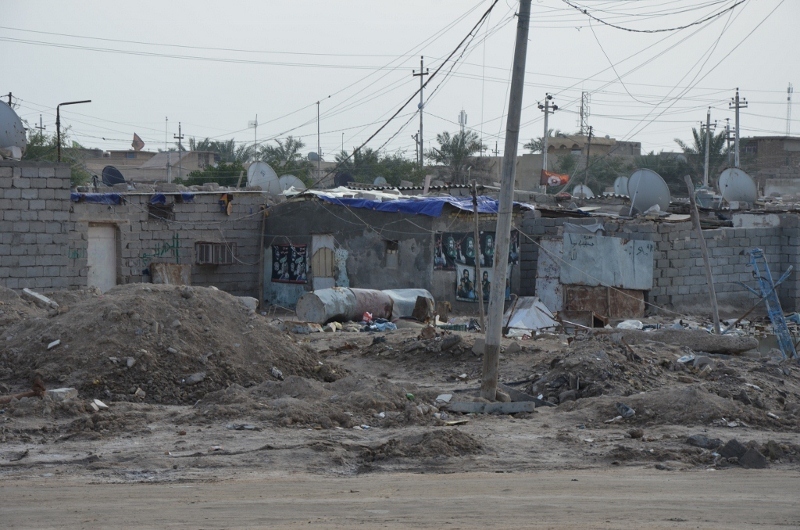 Donna Mulhearn this week returned from a month travelling around Iraq, her fifth visit since 2003, where she investigated and documented the impact of DU, interviewing Doctors, scientists, academics, NGOs and families adding to ten years of research on the issue. She visited hospital wards where children dying cancer in Basra and babies with birth deformities in Fallujah are linked to the toxic legacy of the DU weapons, labelled the “Agent Orange” of today. Donna said the report, In a State of Uncertainty, published by Dutch organisation IKV Pax Christi, reveals how widely the weapons were used in Iraq, and in what circumstances. “This is what the US military has so far refused to do,” she said. “The report also analyses the costs and technical burdens associated with DU use, arguing that a decade on, many contamination problems remain unresolved – leaving civilians at risk of chronic DU exposure. User states argue the use of controversial DU munitions is justified against armoured vehicles, yet In a State of Uncertainty documents their use against a wider range of targets in 2003, with attacks often taking place within civilian areas, leaving residents at risk from contamination. This resulted from the US military use of DU in medium calibre ammunition for aircraft and armoured fighting vehicles, and the frequency of urban combat operations in 2003. The report also finds the Iraqi government has struggled with the cost and technical challenges posed by the legacy of contamination, a situation compounded by the US military’s refusal to release targeting data. 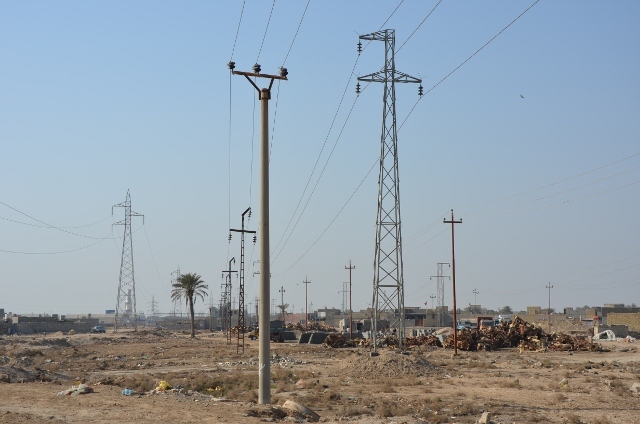 The Iraqi government acknowledges that there are more than 300 sites with known contamination, based on the limited data available, with new sites regularly discovered. Clean-up of sites typically costs around US$150,000, but varies considerably depending on the setting, extent and level of contamination. 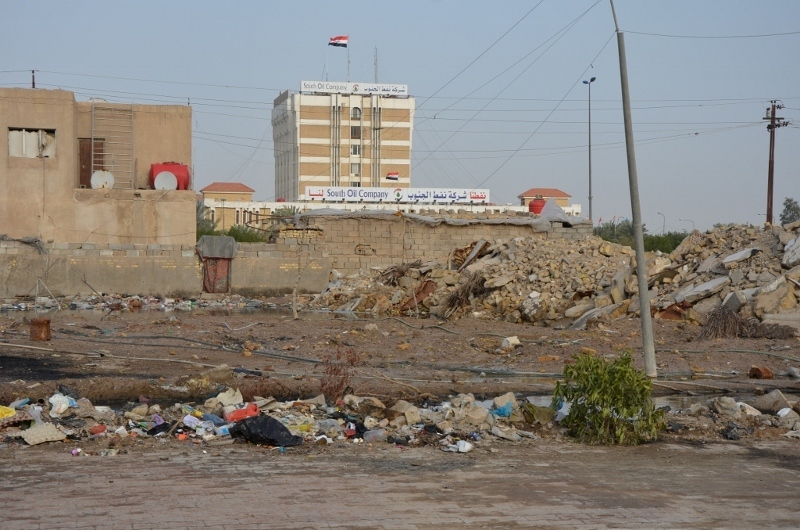 Reports collected by the International Committee of the Red Cross reveal that tribal leaders in southern Iraq highlighted DU contamination as a primary health concern, with fear of DU exposure widespread in Iraq. Iraqis commonly associate increased incidence rates of cancers, congenital birth malformations and other diseases with DU, resulting in significant levels of anxiety. Prompted by numerous media reports of a health crisis in Fallujah, linked by researchers to the toxic legacy of military activities, a major review of birth defect rates in six Iraqi provinces by the World Health Organisation and Iraqi Ministry of Health is to be published soon. In a State of Uncertainty documents the enormous problem still posed by the poorly regulated storage and trade in military scrap metal. Deregulation of the scrap trade under the Coalition Provisional Authority resulted in casual scrap metal collectors being needlessly exposed to DU, and to the export of contaminated scrap to neighbouring countries. Scrap metal collectors continue to remain at risk of exposure, as do those who live near dozens of uncontrolled scrap sites. The Iraqi government has requested international assistance in analysing and managing contaminated military scrap. The United Nations General Assembly has twice called for greater transparency over DU weapons use, most recently in December 2012, where 155 states voted in favour. The US, UK, France and Israel were the only four states which opposed the text, (Australia abstained) which also accepted the potential risks from DU use and called for a precautionary approach to their post-conflict management. Donna said it is clear that for states recovering from conflict, effectively managing DU contamination to standards even approaching those in the states that employ the weapons poses significant challenges. The implications for the wider acceptability of DU munitions are clear. “The question that arises is: Is it politically acceptable to disperse large quantities of a chemically toxic and radioactive heavy metal, which is widely recognised as hazardous, in conventional warfare?” she said. IKV Pax Christi is a Dutch civil society organisation that works with its partners for peace, reconciliation and justice worldwide. A by-product of uranium enrichment, DU has been employed in anti-armour kinetic energy ammunition since the Cold War. Dense, pyrophoric, and provided at low cost to arms manufacturers, DU has been lauded by those states that employ it as a highly effective and militarily necessary material. As intermediate level radioactive waste, DU is subject to a range of domestic environmental, security and health and safety regulations in those same states. Its uncontrolled release during conflicts has the potential to create significant hotspots of contamination and generate large quantities of contaminated wreckage. A radioactive and chemically toxic heavy metal, particulate matter generated in the high temperature metal fires from DU impacts presents an inhalational hazard to civilians. DU is genotoxic (can damage DNA) and, as with other alpha radiation emitters, has been classified as a Class I Human Carcinogen by the WHO’s International Agency for Research on Cancer when internalised. Civilians living and working around hotspots or in the scrap metal trade may face chronic exposure to DU residues with a long term health impact. DU has been shown to be able to migrate into drinking water sources, although considerable uncertainties remain over its environmental behaviour under different climatic and soil conditions. The environmental monitoring and remediation of DU contaminated sites places a technical and financial burden on states recovering from conflict and it is thought that the suspected or actual presence of contamination has a profound psychological effect on civilians. Greetings from Fallujah – Iraq! I have been on the ground in Iraq for 2 weeks now and I just wanted to send a quick note and touch base. The good news is I have with me film maker David Bradbury, thanks to a very generous donation from an activist friend which has ensured this trip and all its stories will be documented by a great film maker – thanks again Neville! 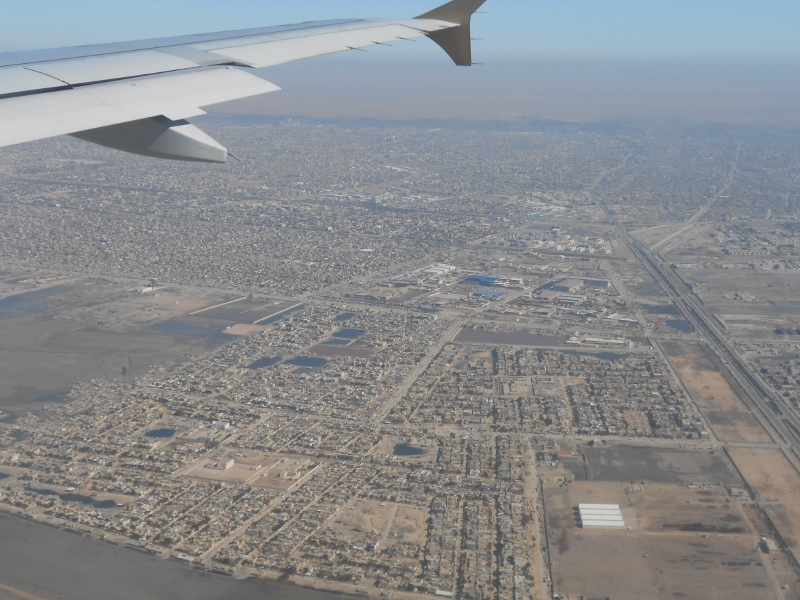 David and I flew into Basra in southern Iraq and quickly began to investigate the issue of pollution caused by recent wars, namely weapons containing depleted uranium which were used widely in Basra in 1991 and 2003 by US forces. It was a depressing visit. The city is in poor condition with slums having emerged in the last few years as rural families move to the city seeking jobs. The environment is extremely polluted both from war remnants and the massive oil and gas industries. The rate of cancers and birth defects in the community is still very high and clean-up of the environment is slow. There is much to be done to repair this war-weary city. We spoke with many Doctors, scientists and activists and have some sobering reports to come. Next we headed to the holy city of Najaf where we were hosted by the amazing Sami Rasouli and the Muslim Peacemaker Team. Here, as well as interviewing Professors and community leaders, we got to take in the unique culture of this historic holy city, visit the world’s largest cemetery, wander the ruins of ancient Babylon but best of all hear of the inspiring work of this team of dedicated peacemakers. 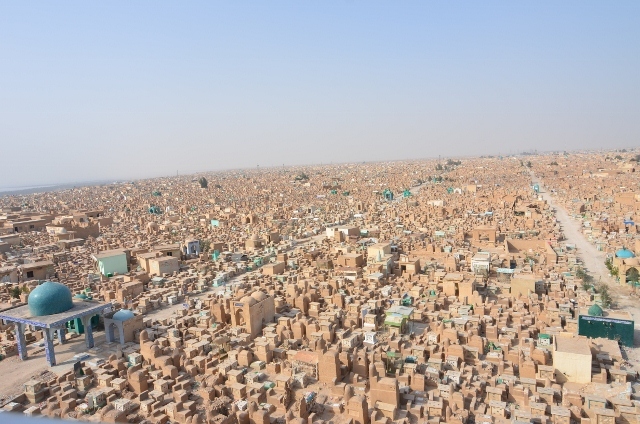 These Iraqis, like so many others , constantly dispel the myth of the so-called ‘sectarian violence’ in Iraq, as they hold hands together, Sunni, Shia, Kurdish, Christian, Sabean and work together for healing and inspiration. Can’t wait to share more about that! Our travel in the new Iraq has not been easy. We have been constantly stopped by Iraqi police and army, held at checkpoints and questioned. If it wasn’t for our quick-witted Iraqi friends there is no way we would have got into Fallujah through the 15 or so checkpoints. A CNN team headed for Fallujah yesterday was forced to turn back to Baghdad due to army road blocks. Iraqi people were prevented from travelling to Baghdad to attend a planned demonstration there. Journalists are being arrested (a French journalist was imprisoned for 3 weeks for taking a photo of a water treatment plant). It seems the new Iraq is becoming very close to the old Iraq in terms of lack of free press, free movement or free speech… after so many decades of suffering Iraqis deserve better than this. When the word “democracy” is mentioned here the response is usually a big belly laugh from Iraqis who struggle with every day with human rights violations, security and basic services. I’m aware I’m reporting this sad news of the legacy of the US/UK/Australian invasion and occupation of Iraq on a Saturday exactly 10 years after a massive outpouring of public opinion against the war by about 15 million people all over the world. It was a day that we raised our voices together, and although our voices were dismissed by some governments, how important was it to register our dissent nevertheless, so that history has noted it. A friend of mine has made a great little tribute video to those who marched against the war in Australia – have a look, you may see yourself! PPS: For those of you who like to read a glossy mag, pick up Marie Claire Magazine this month; they were good enough to ask me to contribute an article about the 10 year anniversary – Good on them! PPPPS: “Mission Accomplished George W.Bush declared. But what was the mission?” Professor H at Ramadi University asked.